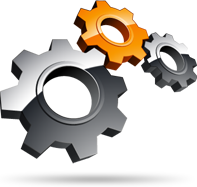 that connect clients with trusted process servers. The ServeNow Network has been the foremost source of leads and business growth for process servers since 2004. 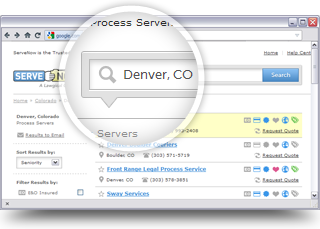 Thousands of visitors come to ServeNow.com, ProcessServers.com and our other network sites on a daily basis looking for qualified process serving firms. Over 12,000 law firms, collection agencies and other professionals that hire process servers are registered with us because they want service of process backed by the Lawgical Promise. The Promise ensures that our network is comprised of only esteemed and established process servers. The dollars you spend with ServeNow are put toward marketing your business so you don't have to. ServeNow greatly increases your exposure online, at legal tradeshows and conferences, in print publications and a number of other targeted channels.